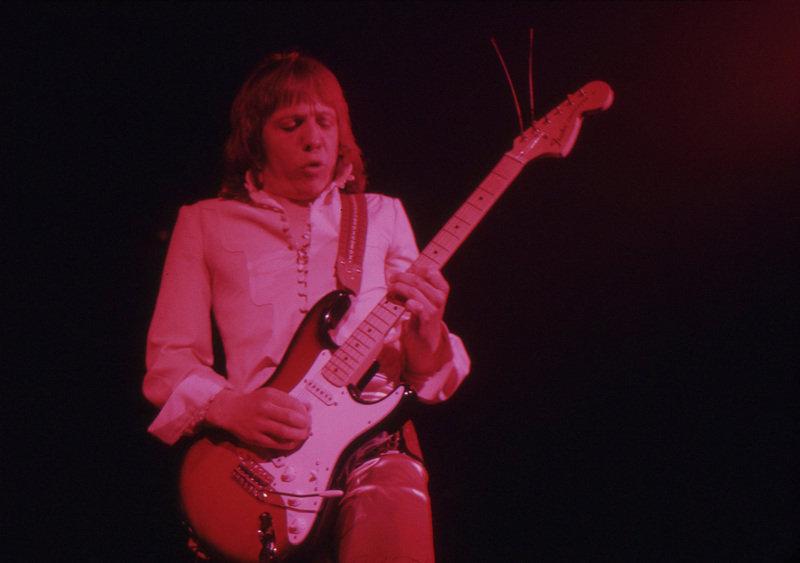 Robin Trower started out as a guitarist with The Paramounts, in Southend-on-Sea, Essex, England, in the early 1960s. 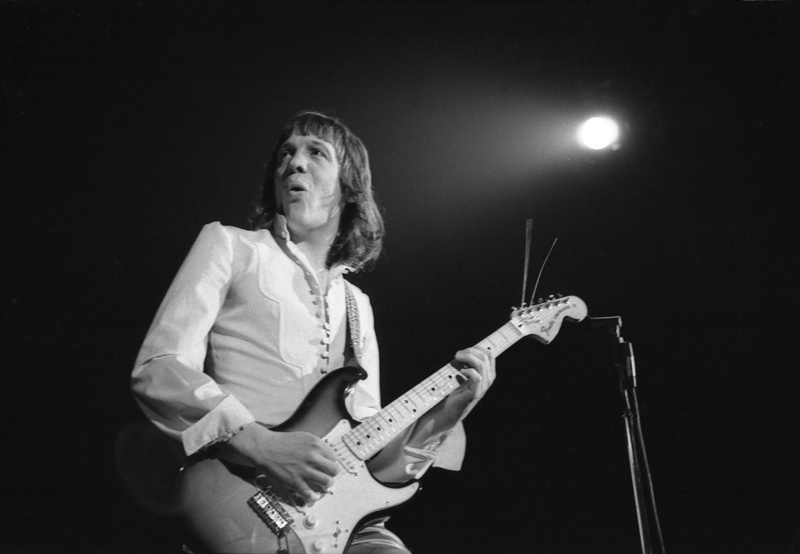 He later came to fame as a member of Procol Harum, a British band known mainly for "A Whiter Shade of Pale," one of the biggest hits of 1967. 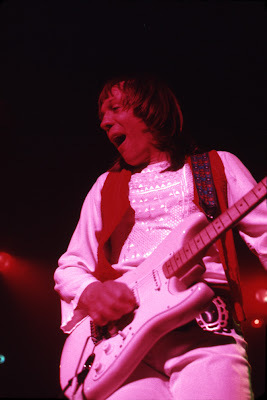 (Although Robin Trower had not yet joined the band when that particular track was recorded.) 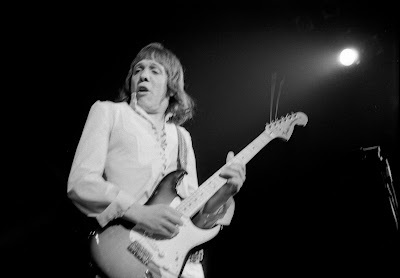 Procol Harum played music that usually featured piano and organ in the forefront, but Robin Trower's distinctive tone on the guitar became a key element of their early songs. 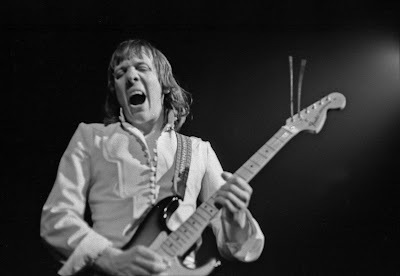 In 1971, Robin Trower left Procol Harum. 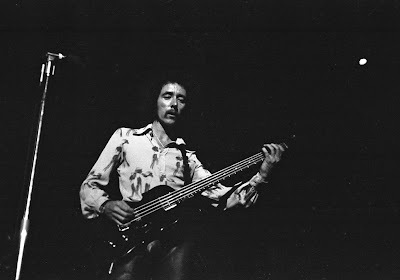 He soon formed a trio under his own name, with James Dewar, formerly a member of the Scottish band, Stone the Crows, on bass and vocals, and Reg Isidore on drums. 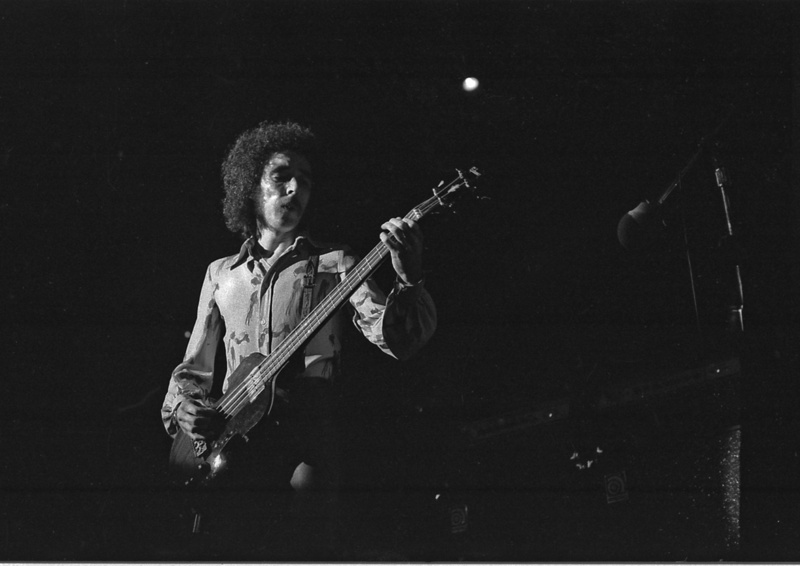 Their first album, Twice Removed from Yesterday, was released on Chrysalis Records in 1973, and was produced by Matthew Fisher, who also had been a member of Procol Harum. 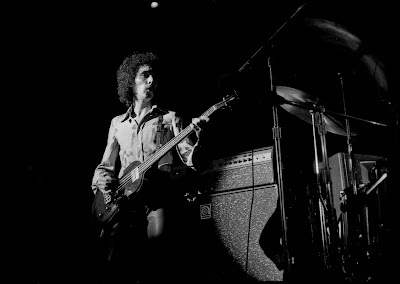 The three musicians toured relentlessly and frequently performed in the USA, quickly garnering a sizable following. 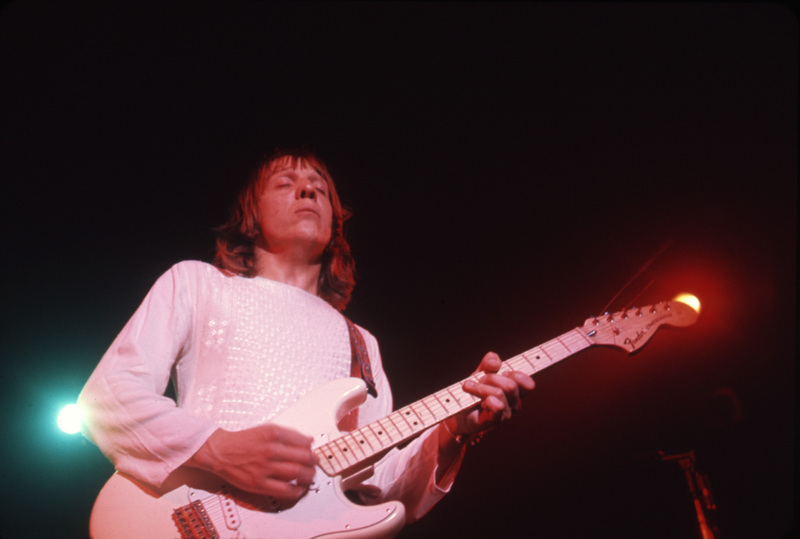 Robin Trower's second album, Bridge of Sighs, with Matthew Fisher as producer again, was released in 1974. 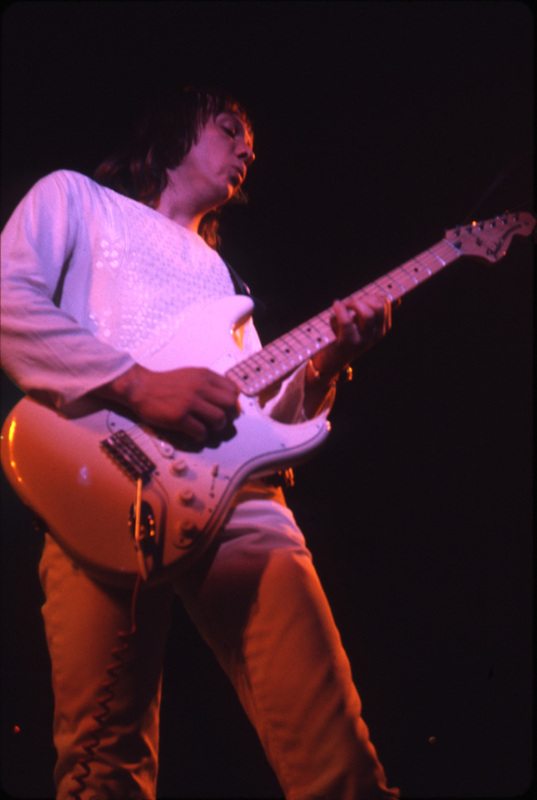 It sold extremely well, received extensive airplay on FM radio, and transformed the guitarist into a major name in rock'n'roll. In addition to "Bridge of Sighs," it featured "Day of the Eagle," "The Fool and Me," "Too Rolling Stoned," and other strong tracks. As a result of Bridge of Sighs, the hard-working trio became even more widely known than Procol Harum. 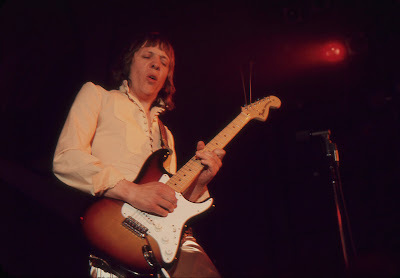 Robin Trower, James Dewar, and Reg Isidore were never known as being showy musicians, but their performances at Winterland always had a sweaty directness that was undeniably exciting. The wild and unearthly sounds that Robin Trower created on the strings of his Stratocaster, combined with the bluesy voice of James Dewar and the heavy drums of Reg Isidore, had an overwhelming power. They connected with audiences through the sheer force of their talent, without reliance on tricks or distractions. 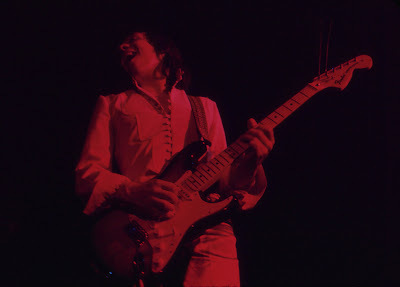 Although Robin Trower had to endure repeated (and quite unnecessary) comparisons between his musicianship and the astonishing musicianship of Jimi Hendrix, his careful mastery of the guitar proved, beyond any doubt, that he was a worthy and strong-minded musician in his own right, with a durable style that spoke for itself. He succeeded by steadfastly dedicating himself to following a musical path that required equal parts of boldness and inspiration. 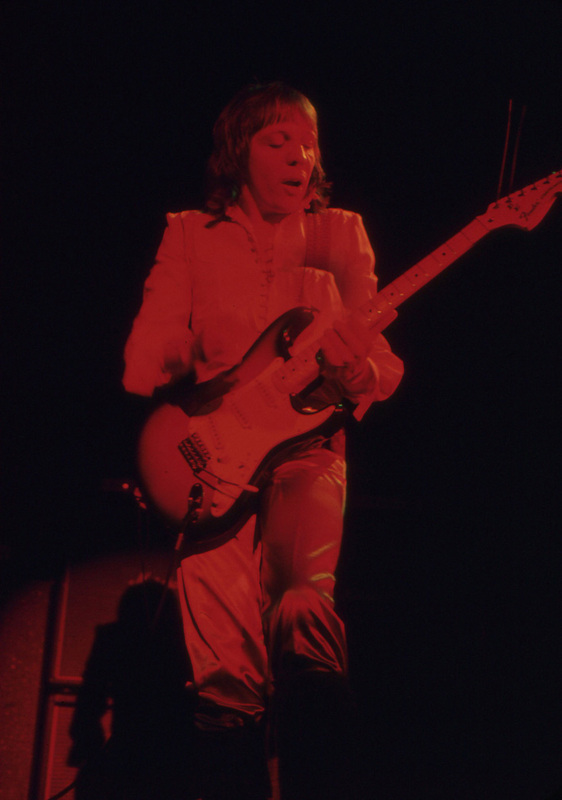 David: I saw Robin Trower three times at Winterland. He was third on the bill, under Mark-Almond, the first two times. 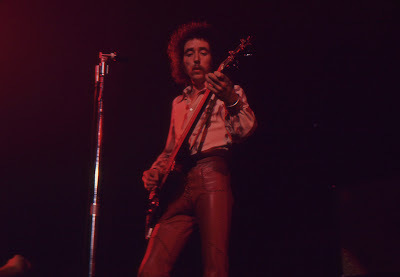 The third time he was second on the bill under Sha Na Na. (I felt he should have been the top act.) Each time I saw him, he wore similar clothes. His performance didn't change much, but it was great music each time. Even though Robin was the star, I loved James Dewar's vocals. 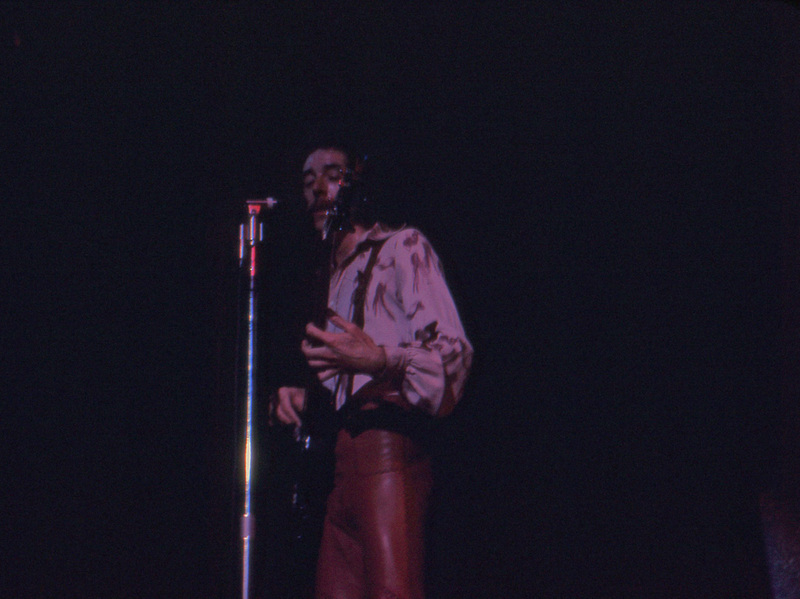 He filled the air effortlessly with his smooth, deep voice. Robin's guitar and James' voice were a perfect match. I liked that they were a three piece and could reproduce the songs from the albums without adding other musicians. 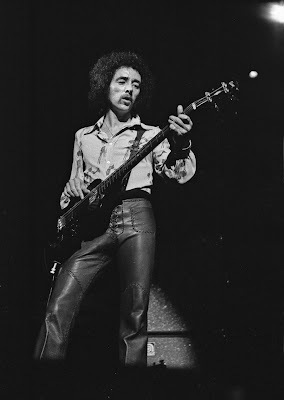 On "Man of the World," Robin would fill in the extra vocal ("I want to be, I got to be"), but I had to cringe a bit because, as great as his guitar playing was, his vocals were not so great. 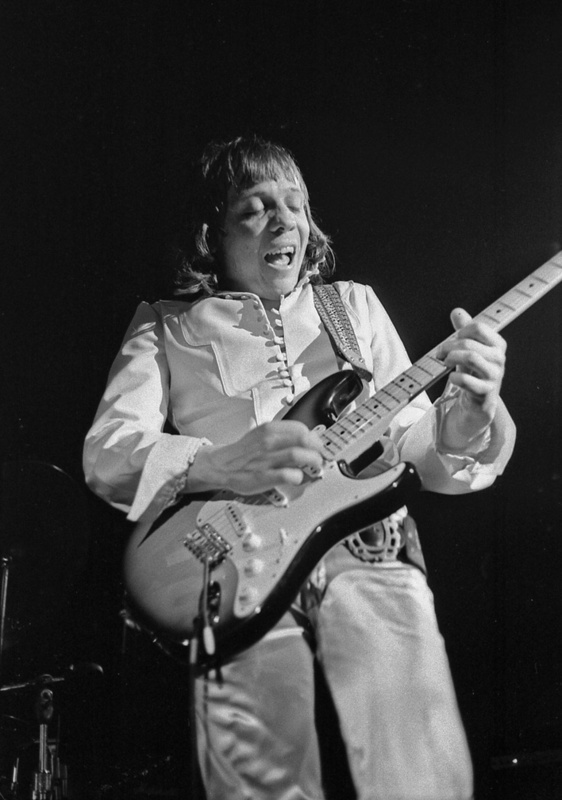 A lot has been said about Robin Trower being influenced by Jimi Hendrix. I admire Robin for acknowledging that and not trying to cover it over. I felt that Robin and his band mates had developed their own sound. I remember at one point during one of the performances someone behind me held up a poster of Jimi Hendrix for Robin to see. I saw him look down at the poster, with a smile and a nod. I thought that was great and wished I could have been in a position to get a photo of the moment. 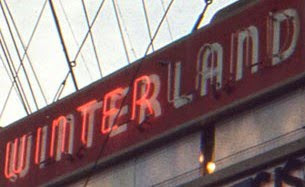 We waited outside Winterland with a few other fans, and were able to meet the band and get their autographs. 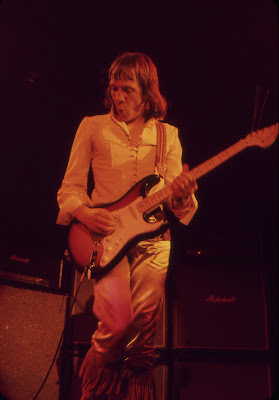 Both Robin Trower and James Dewar were extremely nice in person. They chatted with the crowd and thanked us all for the compliments that we heaped on them. I remember how frail James Dewar looked. He was soft-spoken and had an accent that made it impossible for me to understand anything he said. 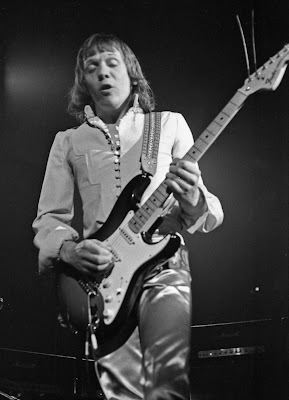 Gary: I remember we saw Robin Trower three times at Winterland. 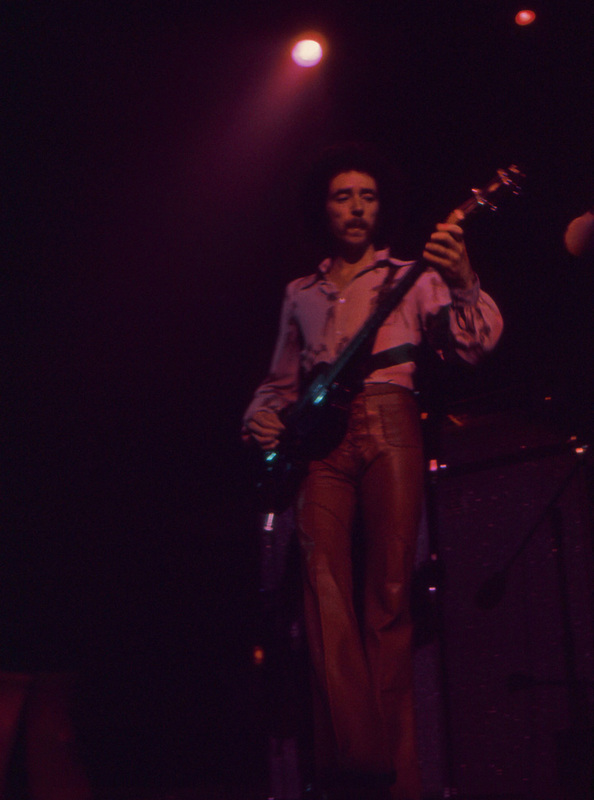 In 1973, after the band had first formed, and in 1974, when Bridge of Sighs was out and filling the FM airwaves. Once at third on the bill, and then the next two times at second on the bill. James Dewar sang and played bass, and the powerful Reg Isidore was on drums. 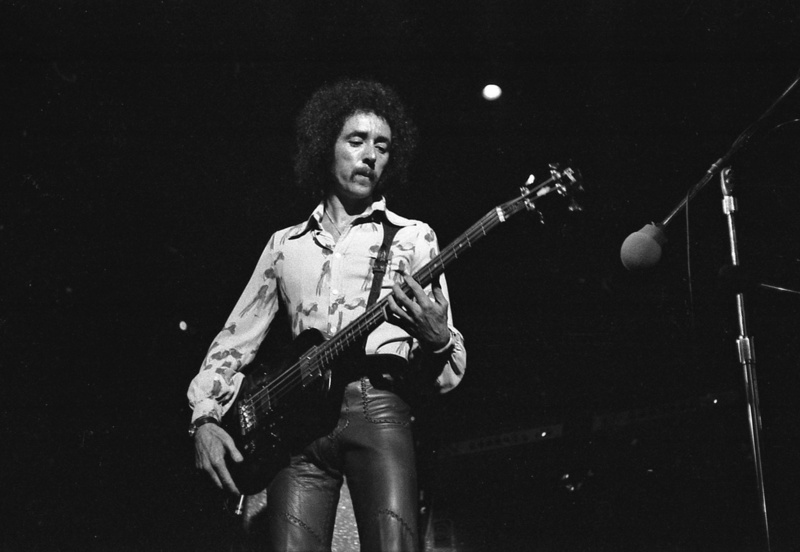 I remember hearing tracks from the great first album, Twice Removed from Yesterday: "Man of the World," "Daydream," the title track, which was wonderful, and "I Can't Stand It," which I remember being a real burner. I really love Side One of the first album. It's masterful. Although I was a big Procol Harum fan, I appreciated Robin Trower leaving and forming his own band. 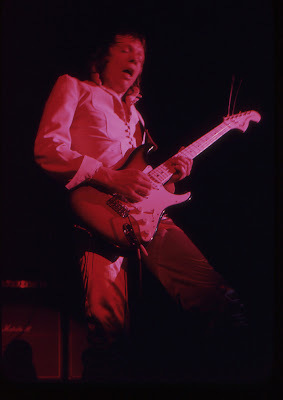 He was, and still is, an amazing guitarist. I remember feeling a bit of pride, like a father, when Matthew Fisher did the production and played organ on the first album. 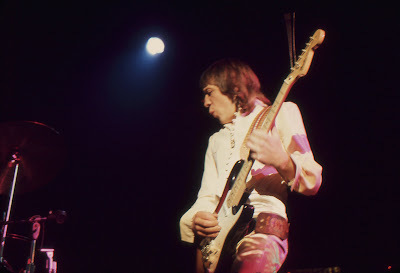 It was like they were kids, doing things on their own, following their own talents instead of lending those talents to Procol Harum. They had liberated themselves. James Dewar was a great man. I loved his work on the early Stone the Crows albums. 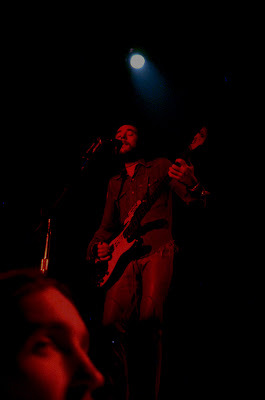 He had an incredible voice with great expression. 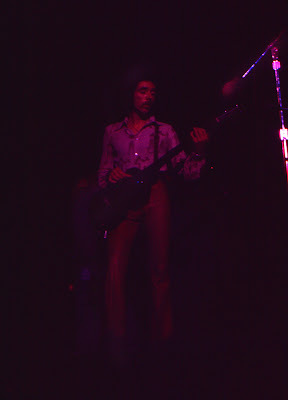 I have a video of him playing and singing with Stone the Crows, with Les Harvey and Maggie Bell. What a band! Robin Trower was strongly influenced by Jimi Hendrix. 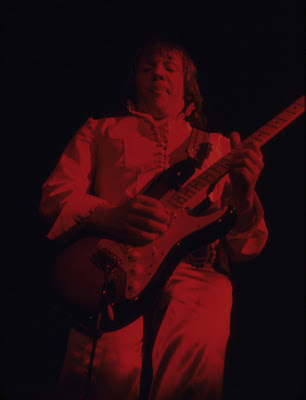 I remember at one of the concerts, one of his fans rushed the stage with a big blown up picture of Jimi Hendrix surrounded by a garland of flowers, and put it at Robin Trower's feet. Robin Trower was all smiles and nods. He appeared to appreciate it. 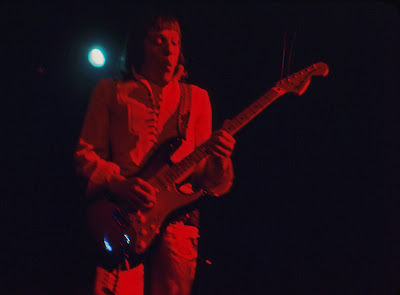 Dan: I can remember wanting to see Robin Trower the first time we saw him at Winterland, in August, 1973. 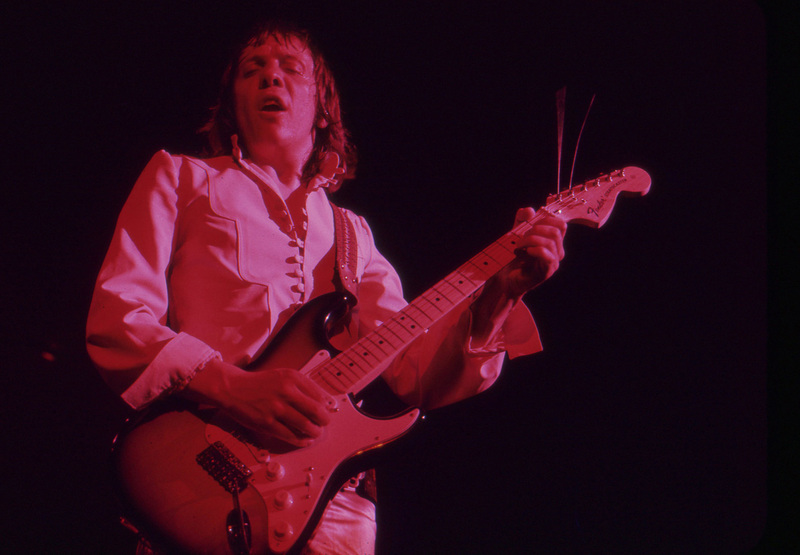 I had purchased his first album since he left Procol Harum, Twice Removed from Yesterday (recorded with his band mates James Dewar and Reg Isidore), and had played it many times. 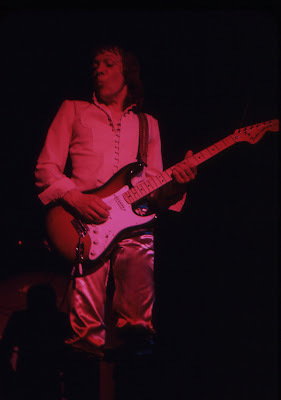 That first time, Robin Trower was the third act on a bill of four bands, appearing ahead of Poco (not a big fan of that band) and Mark-Almond (who we had seen four months earlier, opening for John Mayall), and after David Blue. I can still remember when the band took the stage. Dewar to the left, and Trower right in front of me, playing his Fender Stratocaster. I don't remember all the songs they played, but I do remember them playing "Twice Removed from Yesterday" and "Daydream," which were two of my favorite songs from the album. 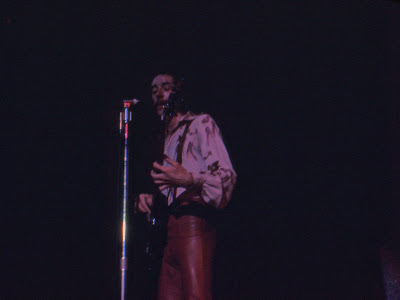 The second time we saw the band was in November, 1973. I can't remember too much different from the first time we saw them. I do remember that the band was always very tight. Robin Trower's solos, with him holding notes for a long time, came across extremely well. 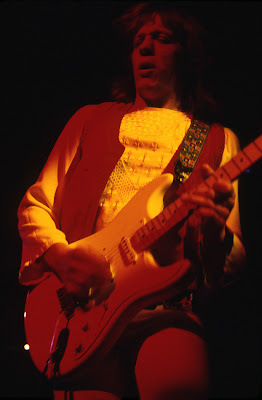 James Dewar's vocals were just as clear as they were on the albums. 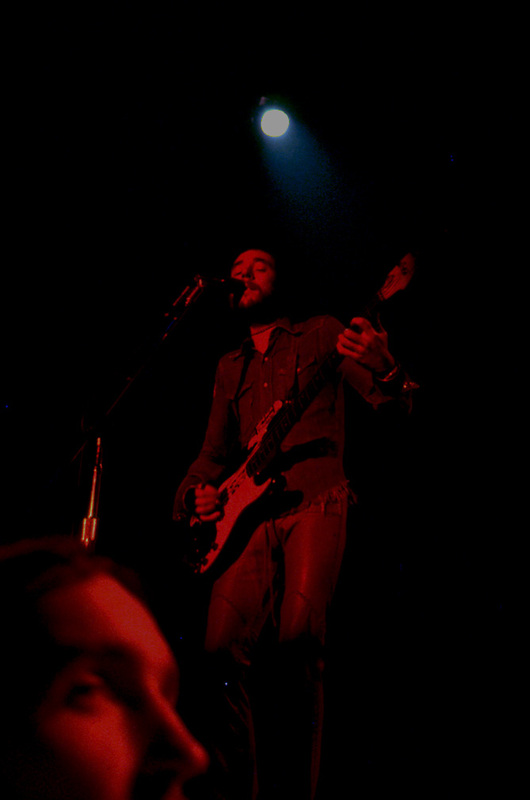 I can also remember looking in the viewfinder of my camera and thinking I had caught some pretty good images of the band. 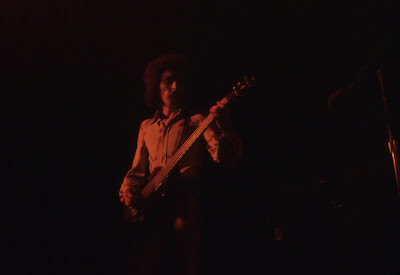 Looking back at the images reminds me of what a tight band they really were. 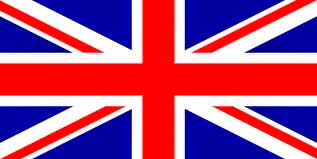 I am very happy to have seen them in what I feel was their heyday. Michael: I had been a fan of Robin Trower for a long time, going back to his years with Procol Harum. 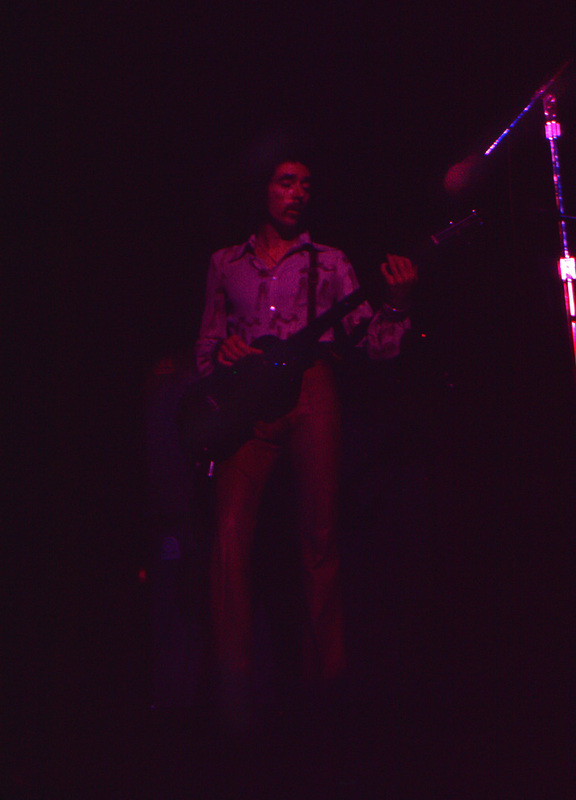 Even then the sound of his guitar stood out. 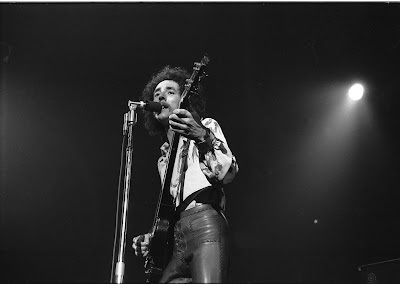 When he formed his own band, much was made of his musical debt to Jimi Hendrix, but I felt that such comments were overdone, and I never took them too seriously. 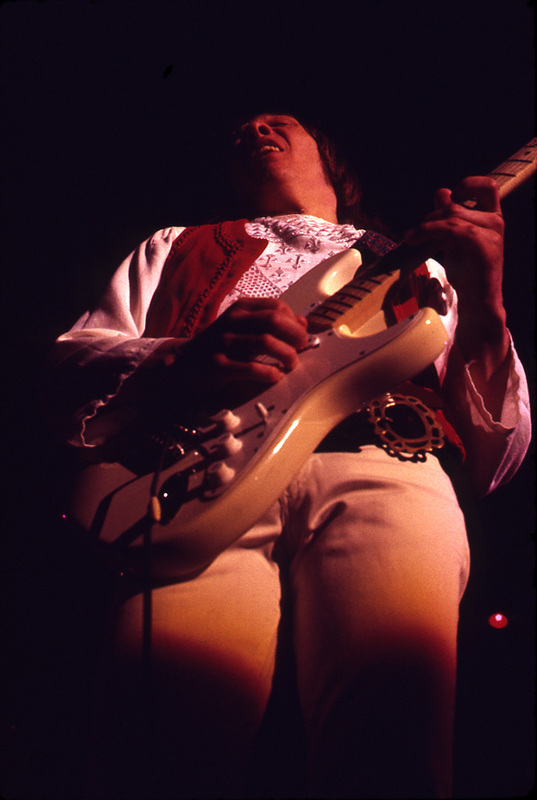 He certainly owed something to Jimi Hendrix, as most guitarists of that period did, but he clearly had a style that was his own. 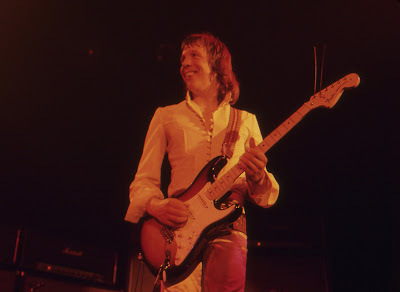 We had the opportunity to see Robin Trower perform several times at Winterland, when he was working his way to the top after leaving Procol Harum. He did not jump about in the manner of Pete Townshend and other guitarists, but his skill on the guitar, and the fire of his music, always made a deep impression. When he played "Daydream," a slow and sleepy song from his first album, it seemed that time stood still. We met the musicians outside the stage door after one of the performances. Robin Trower seemed fairly reserved, but he was gracious about signing autographs. Reg Isidore was more outgoing and seemed surprised by our interest in him. James Dewar was an affable fellow, but his Scottish patter was utterly impenetrable to my ears, so I merely smiled and nodded as he chatted with me, without knowing what he actually was saying. I was at the Winterland show when Robin opened for Sha Na Na. Even though I had the albums and loved the music, I was unprepared for the sheer force of the show. It remains one of the top shows I've seen. I left before Sha Na Na got started, totally wrung out by Robin\James\Reg. Your blog and quotes are brilliant, really...Robin is one of the last guitar-hero..
Great to see these memories,although I picked up on the band with the release of Bridge Of Sighs I saw Robin for the first time at Wembley in 1976 and was blown away by the sheer force of the band and the volume - talk about a tight unit. 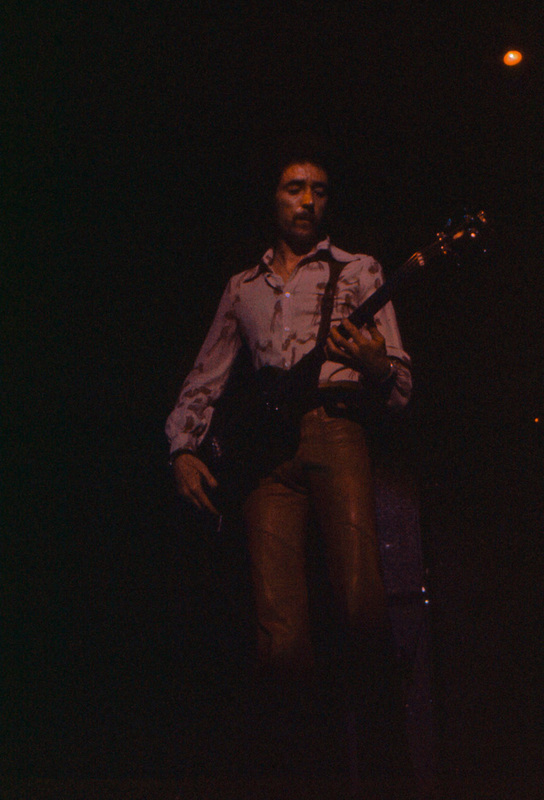 I have to say I would have loved to have see him when the band played these early shows on the west coast.Thank God he was filmed at the Winterland in '75. 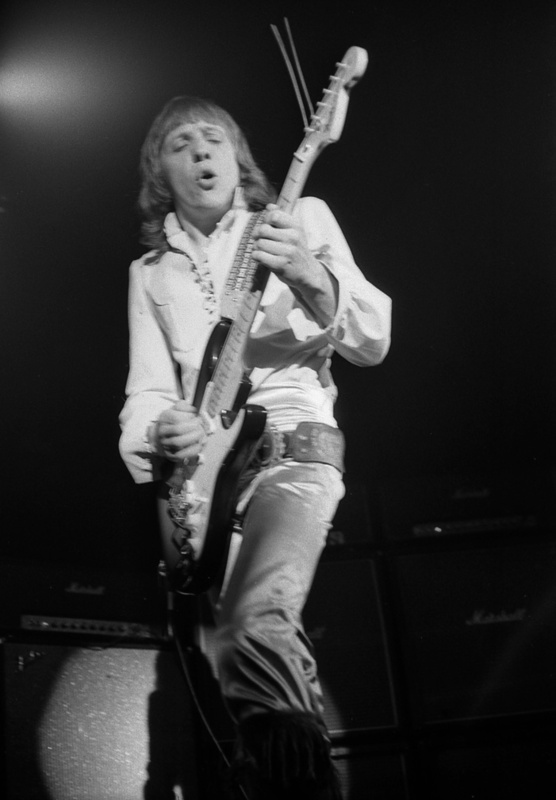 Hi I'm from the uk I saw robin and the boys several times in the 1970's the first time I was on 13 Those concerts still are some of the best days of my life, I was able to take my wife to see him 4 years ago in the uk, just to show her where my musical tastes come from. James Dewar's voice will live with me forever. When my boys were very young they used to dance on the table to Long Misty Days.